1. 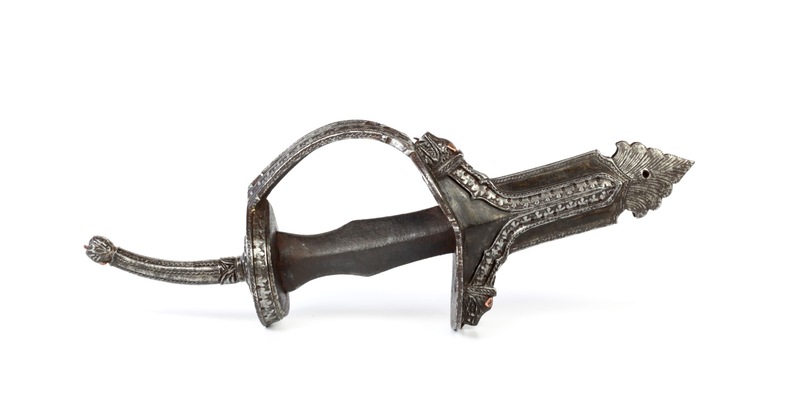 It can provide extra leverage for occasional two-handed cuts. 2. 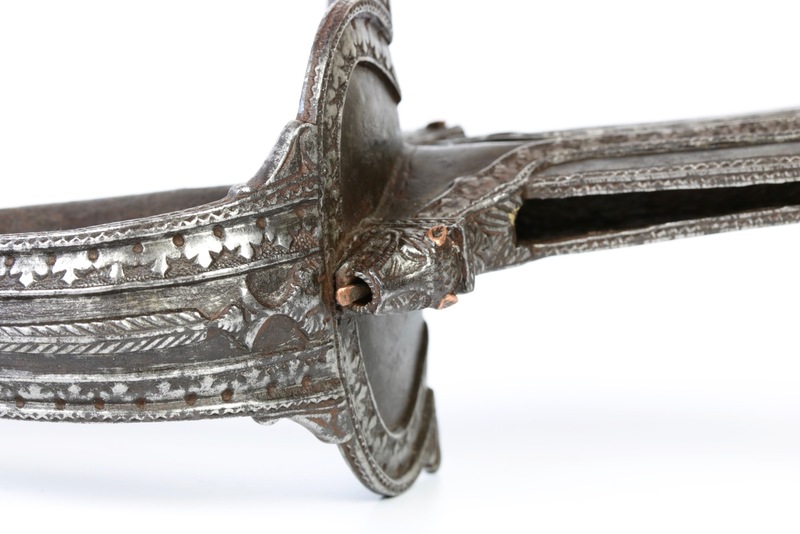 It provides added protection to the user's lower arm. 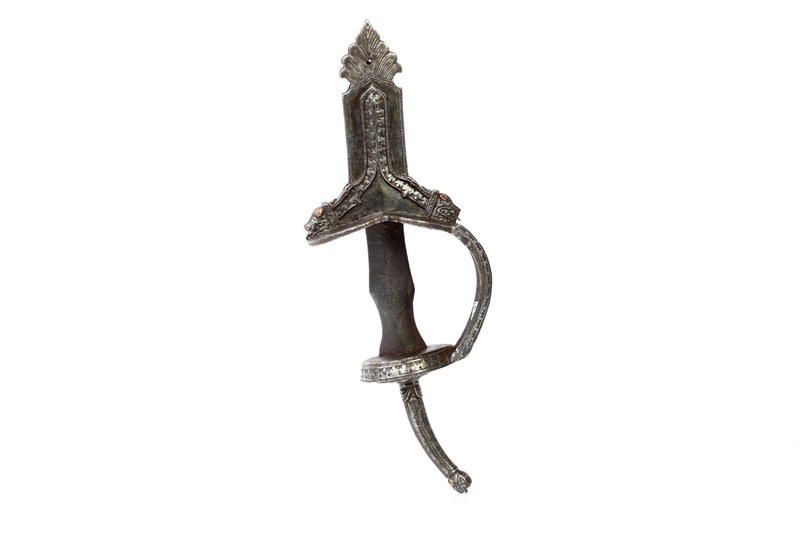 A sword cut that slides off the knucklebow can still be caught by the spike. 1. See Rawson, P.S. 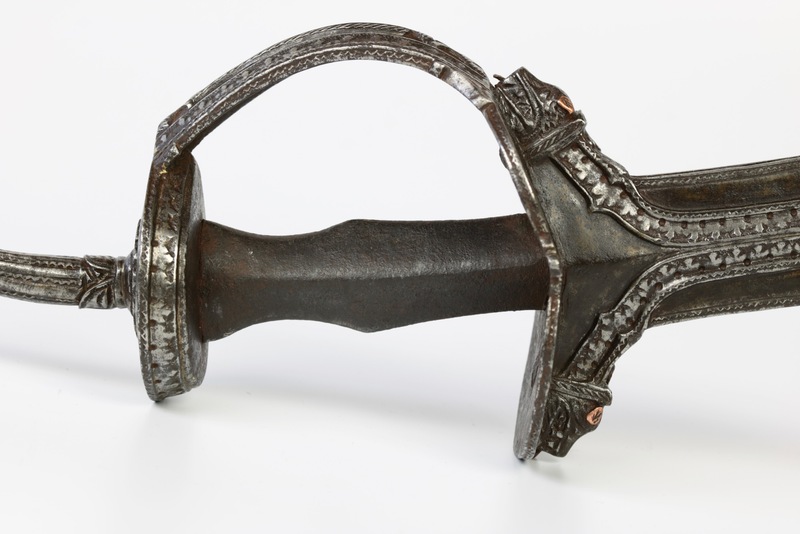 : The Indian Sword, Herbert Jenkings, London, 1968. Pages 6-8. and Stone: A Glossary of the Construction, Decoration and Use of Arms and armor, 1934. Reprint by Dover, 1999, p. 352. Materials: Iron or steel, copper. 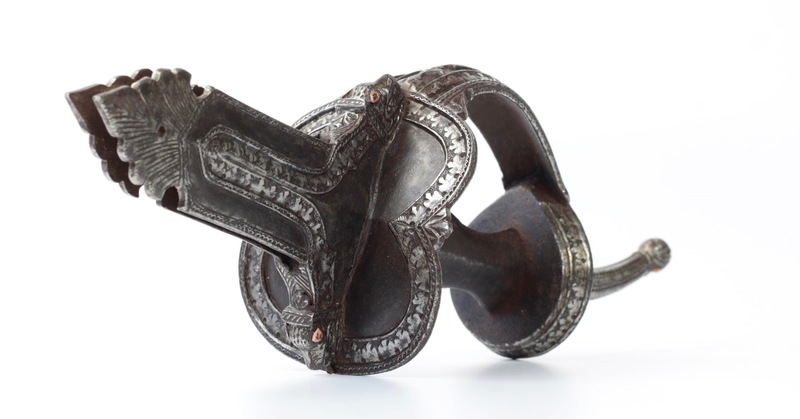 A massive iron Hindu basket hilt, as commonly found on the Indian khanda . 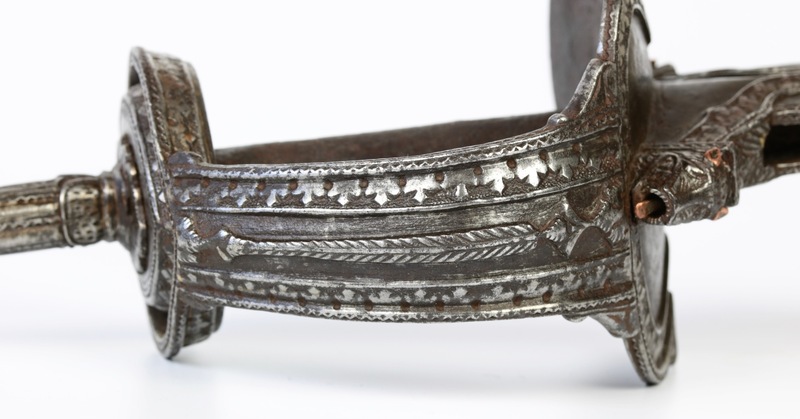 It's made of iron or steel, and entirely constructed by forging and chiseling, nothing is cast. The design makes use of blackened iron panels with decorative borders, lined with intricate lines with zig-zag patterns, all carved in relief. 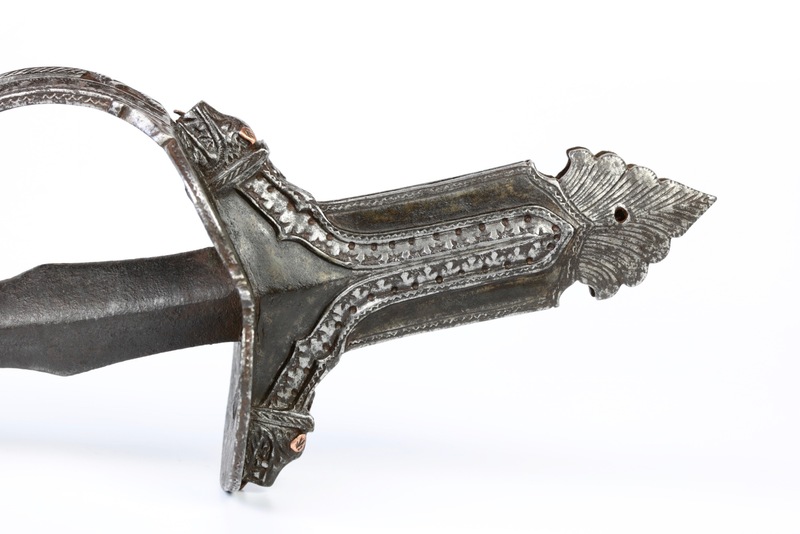 The langets that hold the blade end in palmate motifs. 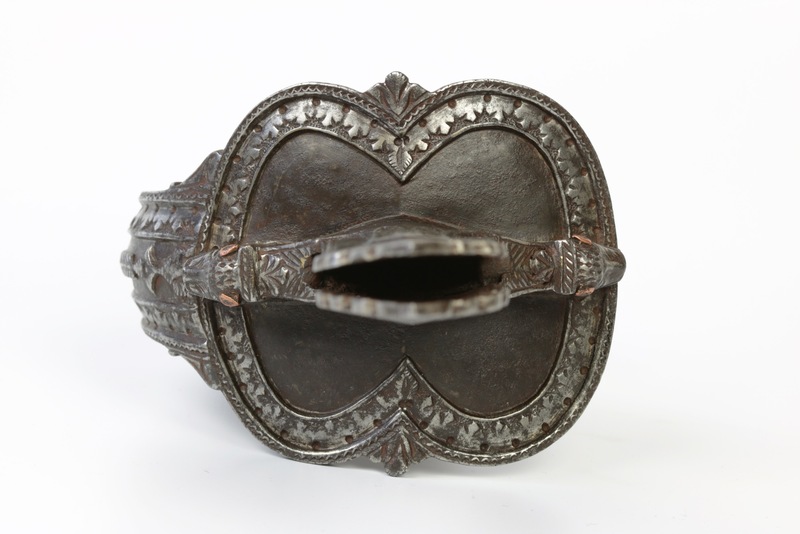 The center of the knucklebow decorated with a "tree of life" element, standing out in high relief from its blackened iron panel. 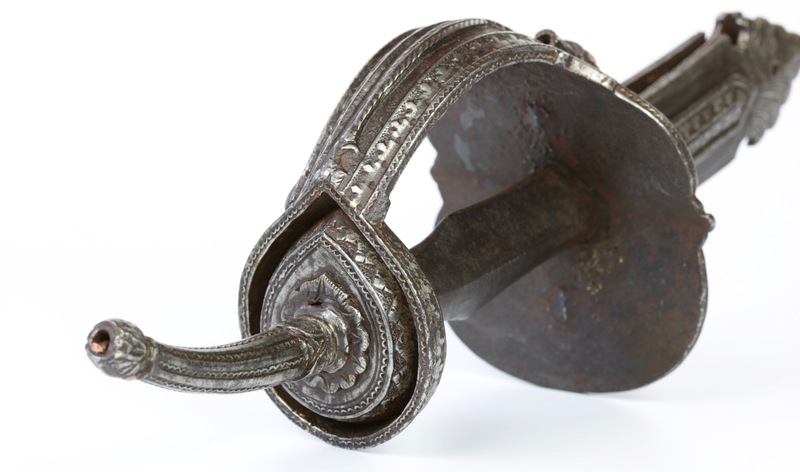 Hammer marks can be seen on the inside of the guard, telling of its forged construction. 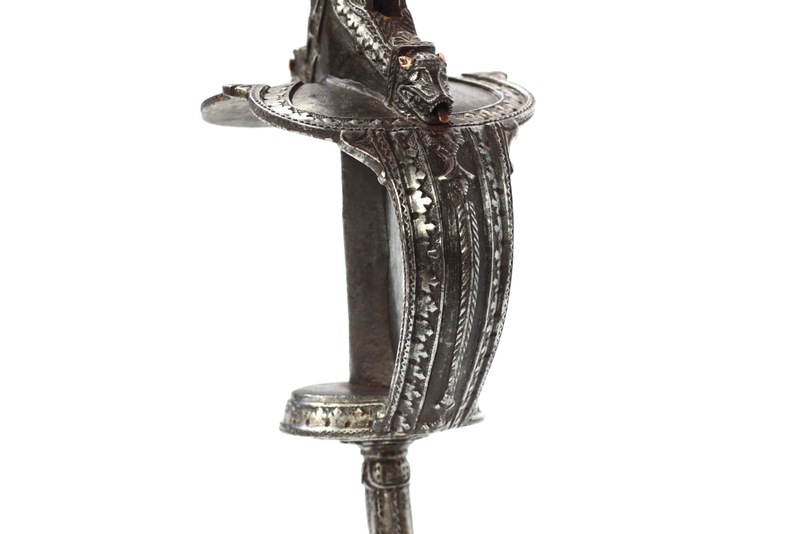 The guard has some nice and unusual features: two monster heads feature on top of the hand guard, emerging from the base of the langets. They have separate ears made of copper, and free-moving copper tongues. 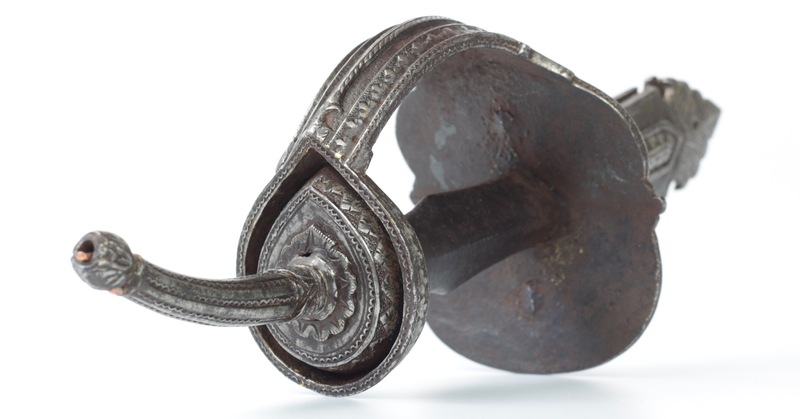 At the pommel there is another monster head from which the long, curved spike emerges. The spike ends in yet another monster head, again with two copper ears and a moving tongue. 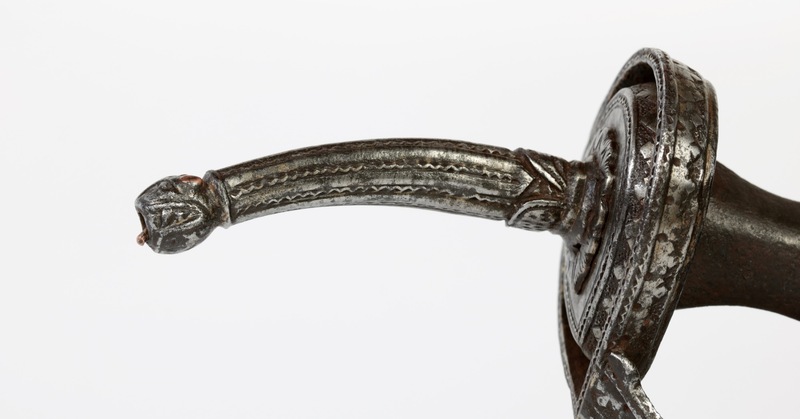 All three tongues rattle when the handle is shaken. 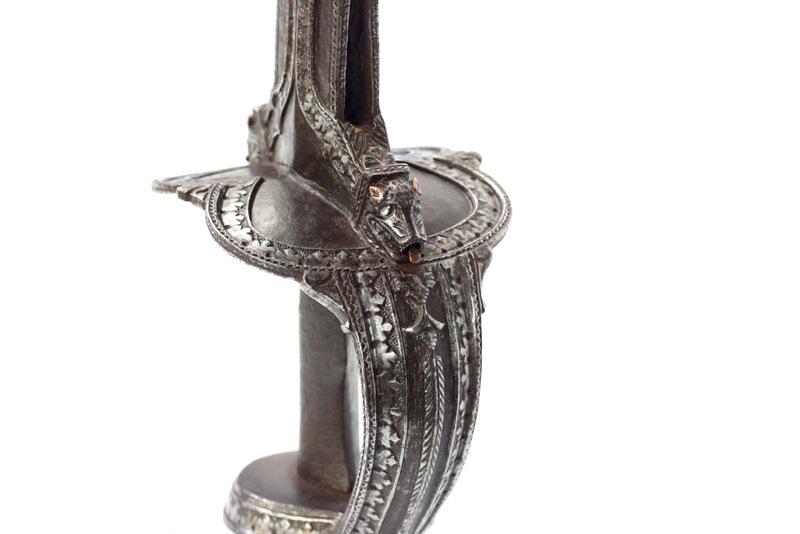 A well-made, solid iron khanda hilt that is tastefully decorated with elaborate chiseling. 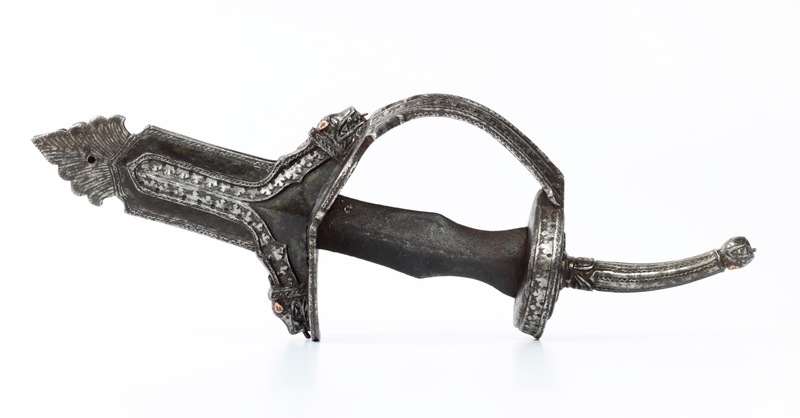 No concessions were done on functionality, it is a heavy and robust piece that would offer considerable protection to the hand. The unusual and rather quirky moving tongues on the creatures are a nice touch.